Resveratrol is a natural compound associated with a lot of health benefits. It is a type of polyphenol, a stilbene, best known as a component in red wine and grapes. Its discovery and association with red wine gave rise to the term “French paradox in a bottle”, an explanation as to why there is a low incidence of heart disease and obesity among the French people when they have a relatively high-fat diet. Over the past few decades, studies on resveratrol have shown the compound’s anti-inflammatory, antioxidant, anti-diabetic, anti-proliferative, and anti-cancer properties. Resveratrol is also known for its protective effect on the liver, the heart, and the brain. Even stress levels and lifespans are said to be positively influenced by resveratrol intake. Resveratrol is a phytoalexin, an antioxidative substance synthesized from grape skin, polygonum cuspidatum (and other sources) as a defense against toxins, injury, and infection. Resveratrol exists in three forms – the cis-, trans-, and dihydro- molecules. Among these forms, trans-resveratrol has been given the most attention since it is said to have the greatest potency and highest absorbability. This compound was discovered as early as the 1930’s by the Japanese. However, it wasn’t until the recent decades that it has captured scientific attention when it was determined that grapes contained this substance. This interest was further fueled when American scholars found red wine to be rich in resveratrol. 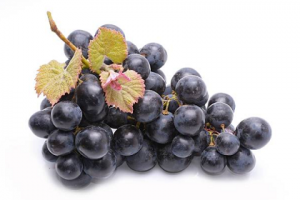 Later, experts found out that resveratrol is not only present in grapes but in 72 other different types of plants. Studies show that there is not enough resveratrol in food sources to produce the same effect as what the compound does in scientific experiments. However, even small amount of resveratrol in the diet can be beneficial for the body. My favorite source of resveratrol is polygonum cuspidatum which has benefits in and of itself. It contains anti-inflammatory compounds that inhibit cox-2. Cox- 2 is an enzyme the immune system produces that promotes, swelling, and inflammation. Something that inhibits that is especially helpful when the inflammation becomes chronic. 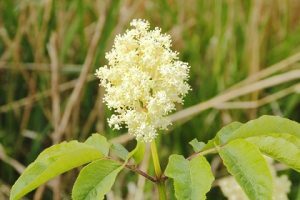 Polygonum cuspidatum also has neuroprotective, cardio-protective, antimicrobial and antiviral properties. Along with its liver protective properties, it was traditionally used in Chinese medicine for gallstones. Polygonum cuspidatum’s dried rhizome. Most resveratrol capsules sold in the US are made up of this. 1. Resveratrol improves bile flow. By influencing and improving the gut microbiota, resveratrol helps regulate bile acid metabolism. In animal models, the compound is also known to help in conditions wherein the bile flow is obstructed. This was illustrated in a 2016 study by Canadian Journal of Physiological Pharmacology, where intrahepatic cholestasis of pregnancy (ICP) was investigated. Resveratrol treatment not only alleviated symptoms, it also restored bile flow rate. Another recent study by the Journal of Food Science also showed that the presence of resveratrol as well as resveratrol glucuronides (a major metabolite of resveratrol in the liver) increases the synthesis and release of bile acids. 2. Resveratrol is good for the liver. Firstly, since the liver is one of the body’s natural cleansing channels, it is benefitted by resveratrol’s detoxifying effect. The compound’s detox mechanism will be discussed in greater detail later. Secondly, it helps prevent and assist in the improvement of nonalcoholic fatty liver disease (NAFLD). Since NAFLD pathogenesis involves lipotoxicity, inflammation, insulin resistance, mitochondrial damage, and oxidative stress, resveratrol indeed helps during treatment. Thirdly, resveratrol protects against sepsis-induced liver injury. Supplementation of resveratrol remarkably improved symptoms and histological markers of NAFLD in a 2014 study. Next, resveratrol helps the liver by reducing cholesterol. And lastly, the compound is also being investigated for usage in liver cancer prevention. Inflammation is necessary for the body but chronic inflammation is our body’s enemy. It is linked to a lot of chronic illnesses. Another way in which resveratrol improves general health is through its effects on genes of inflammatory pathways, levels of inflammatory markers and leukocyte numbers, as well its inhibition of a few enzymes and pathways. Resveratrol inhibits cyclooxygenases (cox-1 and cox-2) and lipoxygenases, enzymes that play crucial roles in the inflammatory process. It also down-regulates the pro-inflammatory adipokine, resistin and inhibits the NF-kB pathway. Lastly, it controls the release of some pro-inflammatory molecules and limits the body’s ability to produce them. Due to resveratrol’s impact on inflammation and its effect on metabolism, it is believed to be helpful for those suffering from autoimmune diseases. 4. Resveratrol is an antioxidant. It helps modulate the production of reactive oxygen species (ROS). It increases glutathione reductase in the body. Glutathione is a naturally-occurring antioxidant in the body. It increases the activity of NRF2, a protein that regulates the expression of antioxidant proteins. It decreases nicotinamide adenine dinucleotide phosphate (NADPH) oxidase which makes ROS in response to stress, cytokines, and growth factors. It decreases lipid peroxidation, the process of degradation of lipids that also contributes to the production of ROS in the body. 5. Resveratrol supports weight loss. Resveratrol has a number of notable pharmacological effects on fat cells. An experiment using 25 and 50 50 µM dose of resveratrol have shown to decrease fat accumulation in maturing fat cells by altering its mass and affecting cell life and adipogenesis. It has also been shown to cause the death of matured lipid cells. This makes the compound a possible treatment for obesity. Aside from killing fat cells, resveratrol redirects stem cells that are on their way to becoming fat cells and encourages them to turn into bone or other cells instead. This happens because mesenchymal stem cells (MSC) can either become to bone cells, fat cells, chondrocytes, or muscle cells. 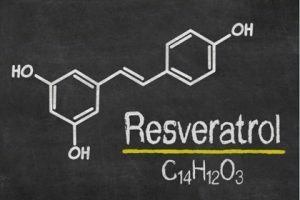 Resveratrol also mimics the effects of endurance training and calorie restriction, causing fats to be metabolized by the muscle instead of getting stored in the body. o inhibition of fatty acid synthase, lipoprotein lipase and hormone-sensitive lipase. As mentioned in the previous point, resveratrol can be useful in the prevention and treatment of diabetes. A number of studies have shown how it increases insulin sensitivity among obese individuals. Since resveratrol has effects similar to endurance training and calorie restriction, it is also able to exert positive metabolic adaptations including a reduction of fat in the liver, reduction in blood pressure, improvement of mitochondrial function, and increase in skeletal muscle. AMP-activated protein kinase (AMPK), a critical energy sensor and master regulator of energy homeostasis, is also activated and up-regulated by resveratrol. This mechanism influences lipid, protein, and glucose metabolism. Just like other supplements, resveratrol is not regulated by FDA, making it difficult to know the exact dosage recommendation. Different experiments use different quantities, with some administering as much as 5 grams per day to their subjects. 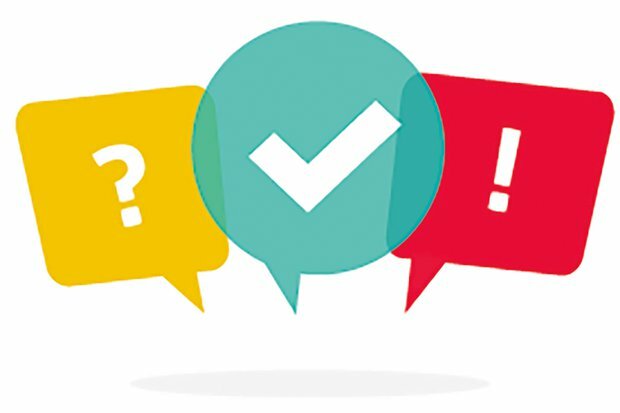 Most supplements are served with 5-500 mg of resveratrol per capsule so consumers often have that range as a choice. Many researchers however believe that to compute for the best dosage for a specific individual, 5 mg of resveratrol should be allotted per kg of body weight. Low dosage, such as 150 mg per day is also said to be enough to lower sleeping and resting metabolic rate as well as contribute to improvement of heart and liver health. Other experts say that as much as 500 – 1500 mg daily is well-tolerated and safe. To be on the safe side, it is best to start with low dosage and increase intake gradually. Oral resveratrol has high absorption but low bioavailability in humans. 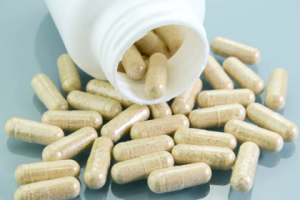 Also, the dosages in supplements are usually much lower than the amounts proven to be beneficial in research. Therefore, increasing the intake slowly may be important. Note that resveratrol can have harmful effects at very high dosages such as 5 gms so if there is a specific reason to go that high, do so under the supervision of a physician. Since resveratrol from food sources are not enough to reach the amount indicated in successful human or animal studies, supplementation will definitely be advantageous. Anisimova, N. Y., Kiselevsky, M. V., Sosnov, A. V., Sadovnikov, S. V., Stankov, I. N., & Gakh, A. A. (2011). Trans-, cis-, and dihydro-resveratrol: a comparative study. Chemistry Central Journal, 5(1), 88. Bäckesjö, C. M., Li, Y., Lindgren, U., & Haldosén, L. A. (2009). Activation of Sirt1 decreases adipocyte formation during osteoblast differentiation of mesenchymal stem cells. Cells Tissues Organs, 189(1-4), 93-97. Baur, J. A., & Sinclair, D. A. (2006). Therapeutic potential of resveratrol: the in vivo evidence. Nature reviews Drug discovery, 5(6), 493. Calabrese, E. J., Mattson, M. P., & Calabrese, V. (2010). Resveratrol commonly displays hormesis: occurrence and biomedical significance. Human & experimental toxicology, 29(12), 980-1015. Chen, Z., Hu, L., Lu, M., & Shen, Z. (2015). Resveratrol reduces matrix metalloproteinases and alleviates intrahepatic cholestasis of pregnancy in rats. Canadian journal of physiology and pharmacology, 94(4), 402-407. Ching-Shu Lai, Jia-Ching Wu, Chi-Tang Ho, Min-Hsiung Pa (2016) Chemoprevention of obesity by dietary natural compounds targeting mitochondrial regulation. Frémont, L. (2000). Biological effects of resveratrol. Life sciences, 66(8), 663-673. Gerhart‐Hines, Z., Rodgers, J. T., Bare, O., Lerin, C., Kim, S. H., Mostoslavsky, R., … & Puigserver, P. (2007). Metabolic control of muscle mitochondrial function and fatty acid oxidation through SIRT1/PGC‐1α. The EMBO journal, 26(7), 1913-1923. Howells, L. M., Berry, D. P., Elliott, P. J., Jacobson, E. W., Hoffmann, E., Hegarty, B., … & Gescher, A. J. (2011). Phase I randomised double-blind pilot study of micronized resveratrol (SRT501) in patients with hepatic metastases-safety, pharmacokinetics and pharmacodynamics. Cancer prevention research, canprevres-0148. Kim, C., Baek, S. H., Um, J. Y., Shim, B. S., & Ahn, K. S. (2016). Resveratrol attenuates constitutive STAT3 and STAT5 activation through induction of PTPε and SHP-2 tyrosine phosphatases and potentiates sorafenib-induced apoptosis in renal cell carcinoma. BMC nephrology, 17(1), 19. Rayalam, S., Yang, J. Y., Ambati, S., Della‐Fera, M. A., & Baile, C. A. (2008). Resveratrol induces apoptosis and inhibits adipogenesis in 3T3‐L1 adipocytes. Phytotherapy Research: An International Journal Devoted to Pharmacological and Toxicological Evaluation of Natural Product Derivatives, 22(10), 1367-1371. Shao, D., Wang, Y., Huang, Q., Shi, J., Yang, H., Pan, Z., … & Xu, X. (2016). Cholesterol‐Lowering Effects and Mechanisms in View of Bile Acid Pathway of Resveratrol and Resveratrol Glucuronides. Journal of food science, 81(11), H2841-H2848. Sun, Z. J., Pan, C. E., Liu, H. S., & Wang, G. J. (2002). Anti-hepatoma activity of resveratrol in vitro. World journal of gastroenterology, 8(1), 79. Timmers, S., Konings, E., Bilet, L., Houtkooper, R. H., van de Weijer, T., Goossens, G. H., … & Moonen-Kornips, E. (2011). Calorie restriction-like effects of 30 days of resveratrol supplementation on energy metabolism and metabolic profile in obese humans. Cell metabolism, 14(5), 612-622. Walle, T., Hsieh, F., DeLegge, M. H., Oatis, J. E., & Walle, U. K. (2004). High absorption but very low bioavailability of oral resveratrol in humans. Drug metabolism and disposition. Xu, W., Lu, Y., Yao, J., Li, Z., Chen, Z., Wang, G., … & Tian, X. (2014). Novel role of resveratrol: suppression of high-mobility group protein box 1 nucleocytoplasmic translocation by the upregulation of sirtuin 1 in sepsis-induced liver injury. Shock, 42(5), 440-447. Zahedi, H. S., Jazayeri, S., Ghiasvand, R., Djalali, M., & Eshraghian, M. R. (2013). Effects of polygonum cuspidatum containing resveratrol on inflammation in male professional basketball players. International journal of preventive medicine, 4(Suppl 1), S1.